A MAD Hatter’s tea party, fun egg hunt, artisan food market and plant fair are set to add a drop of magic to Easter celebrations at an historic stately home in Cumbria. The team at Holker Hall and Gardens are hoping for spring sunshine and warm temperatures as they prepare to welcome people to the picturesque property for the bank holiday weekend.The fun will get underway on Friday, April 19 with an immersive Alice in Wonderland themed experience for children in the pristine grounds of the impressive Grade II listed hall near Grange-over-Sands. The sessions, which will run throughout the day, will see youngsters letting their imaginations run wild as they follow Alice on an adventure through the gardens – filled with topiary hedges and ancient trees – as she searches for the mysterious March Hare. Easter Saturday & Sunday will see activities across the site including Easter egg hunts in the gardens for both children and adults so keep your eyes peeled! Following the Alice in Wonderland theme, there will be Mad Hatter’s Tea party activities in the courtyard for children to participate in. To add to all of the bank holiday joy, Easter Sunday – April 21 – marks the return of Holker’s popular food mark for the first time this year, with artisan makers and producers selling their wares from bustling pop up stalls in The Courtyard. Meanwhile, garden enthusiasts can peruse the onsite plant fair to find new ways to reintroduce some summer colour into their own borders. 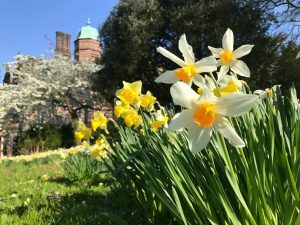 Heather Creasey, general manager at Holker Hall and Gardens, explained there was something for every visitor over Easter. “This is shaping up to be a truly magical weekend,” she said. “The Alice in Wonderland-themed experience for children will introduce a drop of magic to Holker on Friday, while Saturday offers a chance to visit the beautiful hall and gardens and to make the most of our Hidden Holker talks and tastings which take place every day. 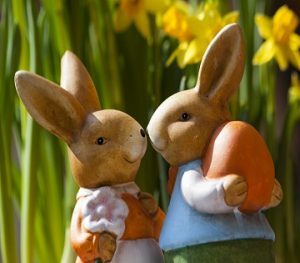 “Easter Sunday marks the return of the food market and plant fair for the first time in 2019, a day out that is always immensely popular.” Heather added: “We’ve already had a great start to the season but we know the bank holiday weekend will be the first visit to Holker this year for many people and we’re excited to welcome them all. Entry to the food market and plant fair is free, though usual entry prices apply for those wishing to view the hall and gardens. Advanced booking for the Alice in Wonderland sessions on Friday, April 19 is recommended with places costing £12 per child and one adult, any extra adults are charged at £5. To book visit skiddle.com/groups/eventslive. Easter egg hunts for children are just £1 on Saturday & Sunday with adults hunt free with a gardens ticket. Mad Hatter’s activities are priced at £4 per child.